Nikon welcomes 2012 with the official announcement of the release of Nikon D4. 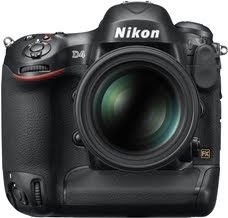 D4 is a Nikon FX-format camera that is the new flagship model in their line-up of digital-SLR cameras. 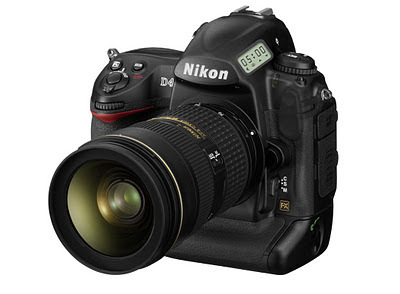 The D4, which is to replace D3S, is equipped with the new Nikon FX-format CMOS image sensor and EXPEED 3, which is the latest image processing engine optimized for DSLR cameras. It also has a 16.2 mega pixel resolution which is higher compared to its predecessor which is only 12.1 mega pixel. 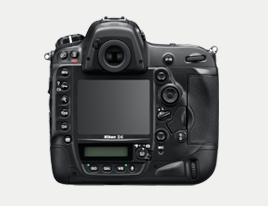 The D4 is equipped with a new Nikon FX-format CMOS image sensor (imaging size of 36.0 x 23.9 mm). The range of standard sensitivities has been expanded to ISO 100 to ISO 12800 with support for ISO 50 and additional expansion up to ISO 204800. The new EXPEED 3 image-processing engine within the D4 offers better image quality and faster processing speeds for vivid color reproduction. It also suppresses noise with advanced noise-reduction processing for images captured at high sensitivities under dim lighting and still preserves definition and sharpness. The D4 is equipped with the Advanced Scene Recognition System, which supports face recognition. The new 91K-pixel (approximately 91,000 pixels) RGB sensor recognizes human faces for more frequent focus acquisition on human faces when Auto-area AF AF-area mode is used. The 51 focus point AF system built into the D4 utilizes the new Advanced Multi-CAM 3500FX auto focus sensor module for faster, more accurate auto focusing that performs well under dim lighting. The 15 focus points at the center of the frame are cross-type sensors that detect phase differences both horizontally and vertically. All 51 focus points are fully functional when lenses with a maximum aperture of up to f/5.6 are used. A dedicated movie-record button has been positioned near the shutter-release button for smooth starting and stopping of movie recording with a feel similar to that of still-image shooting. Full-HD movie recording at a frame size of 1920 x 1080 and frame rate of 30 fps is supported, and the H.264/MPEG-4 AVC video compression method has been adopted. High-speed response with a power-up time of approximately 0.12 seconds and a release time lag of roughly 0.042 seconds. It also supports the high-speed, next-generation XQD memory cards which enables a continuous shooting frame rate of 10 fps for up to approximately 100 shots even with shooting in RAW format. The camera is also equipped with dual memory card slots, one for XQD memory cards and one for CompactFlash memory cards. The D4 is equipped with an Ethernet port and functions for wired LAN connections. 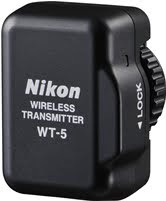 It also supports the new WT-5 (available separately), a compact wireless transmitter that is easily connected to the camera for high-speed transfer of images over a wireless network. This latest version of Nikon's image editing software is Capture NX 2 Ver. 2.3. It has faster image-processing algorithm has been adopted for much faster processing. It is now also compatible with 64-bit operating system. According to the press release, Nikon will be exhibiting the D4 at the 2012 International CES, to be held Tuesday, January 10 through Friday, January 13 in Las Vegas, Nevada. D4 will be available late February with a suggested retail price of $ 5999.95 (body only) or roughly around Php 260,000.00. You may check full specification here. ewan ko pero for me, medyo awkward tingnan pero maganda ang features nia a.
Hahaha! hindi ka lang sanay pero ganyan talaga yung mga high-end na DSLR. Bulky ang appearance.